« It was supposed to be a flowering cherry! 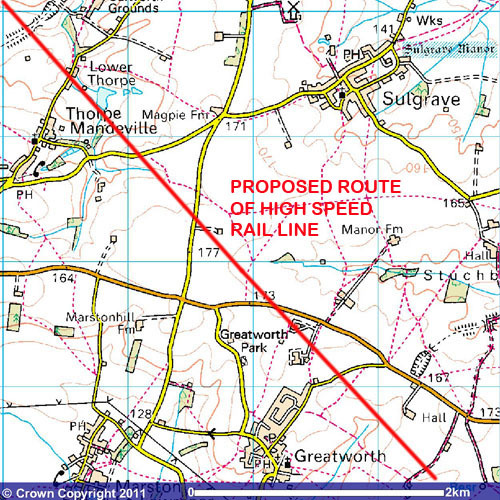 Sulgrave Parish Council wishes to make residents aware of the consultation being undertaken on the matter of compensation along the proposed High Speed Rail (HS2) route. The proposals include a guaranteed purchase scheme for those within 60m of the line, a voluntary purchase scheme for those within 120m and a hardship purchase scheme for those beyond – requiring various conditions. As can be seen from the above map, the route would pass within 1400 metres of the nearest houses in Sulgrave. 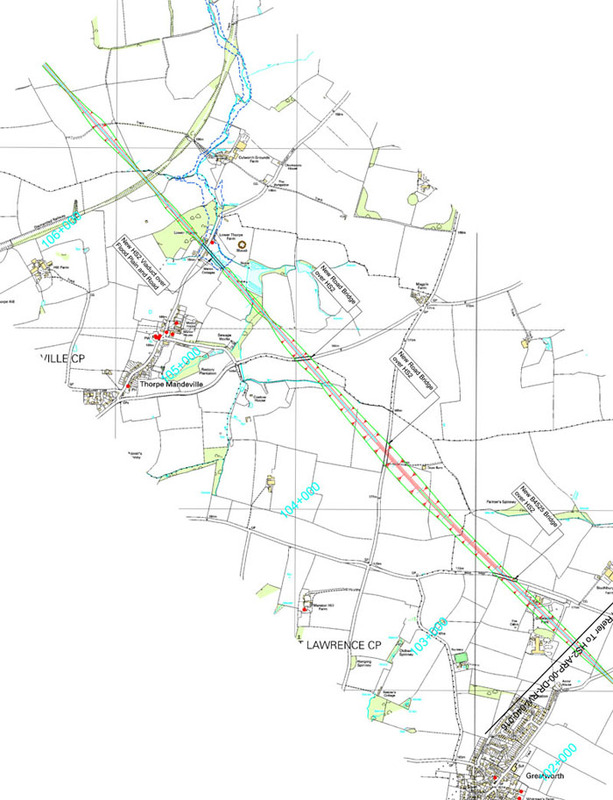 Click here to see an extract from the Department for Transport Route Map through the Sulgrave area, tilted so that the orientation is north-south. It gives details of the lengths of the proposed line which would be in cutting, at ground level, on viaduct and so on, together with details of the proposed bridges. The consultation period for the proposals closes on 31 January. HS2 project staff are manning two nearby information events – in Chipping Warden Village Hall from 1.00 pm to 8.00 pm on 9 January and in Brackley Leisure Centre from 12 noon to 8.00 pm on 16 January. If you consider the proposals are inadequate please ensure your response is lodged by 31 January. Click here for full details of this consultation. Click here for HS2 Action Alliance’s comments. Residents are also reminded that the South Northants Action Group against HS2 are seeking donations for funding their activities. Full details here. Coming soon – “HIGH SPEED RAIL LINE – LATEST NEWS” – a page on this website dedicated to up-to-date information on all matters connected with the High Speed Rail project. This entry was posted on Saturday, December 1st, 2012 at 8:01 am	and is filed under News. You can follow any responses to this entry through the RSS 2.0 feed. You can leave a response, or trackback from your own site.